The word Drawdown is often heard when Forex Trading Robots (EA) are published or often discussed when the Forex Trading Robot (EA) starts to profit. Indeed this word will not be separated from the calculation of the Forex Trading Robot (EA) when the results of the testing are complete. If it is used as a reference to be used in real trading, drawdown is very helpful in knowing the floating rate, thus, the capital to be prepared can be known with certainty. The meaning of drawdown itself is a word that symbolizes the level of danger or not Forex Trading Robot (EA) when used later in trading. In English, Drawdown means "withdrawal or disbursement", while in the sense of investment, drawdown means "the biggest indicator of equity losses ever done by Forex Trading Robots (EA)". Forex Trading Robots (EA) when backed up will always make transactions, where you can see the drawdown results that show how much floating has been done. The greater the amount of value used in covering losses, the greater the level of Drawdown of a Forex Trading Robot (EA). 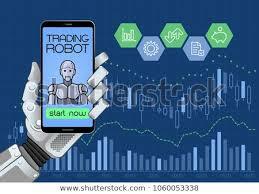 The techniques and strategies in the Forex Trading Robot (EA) will greatly affect the floating rate. Means the strategy contributes to creating a large drawdown. In addition, markets that are always volatile and high price volatility can affect the condition of the Forex Trading Robot (EA) which causes a bigger drawdown of the Forex Trading Robot (EA). You already understand floating which is illustrated in the results of percent drawdown. Now, you can describe how much capital you deserve to be given a Forex Trading Robot (EA) so that when making a transaction, the Forex Trading Robot (EA) will not MC for a moment. Different from the calculation of money management, the calculation of capital from drawdown is seen from how much capital will be spent by Forex Trading Robot (EA) to cover losses due to floating, or high market price volatility. That can all be used by looking at the percent drawdown on the Forex Trading Robot (EA) backtest. You can try to use the initial deposit to the tester to a minimum, until it is enlarged until the Forex Trading Robot (EA) is really not MC. From there, EA will be known not to MC with a drawdown when the capital is used, if the drawdown is large, then the capital decided to run on the live account will need to be enlarged. So that drawdown can be used as the main indicator in selecting how well the level of security balance to avoid from the MC. Drawdown in the meaning of English is referred to as withdrawal which means in investment as a determinant of danger limits on Forex Trading Robots (EA). If the drawdown can be known carefully, it will be known how much security the Forex Trading Robot (EA) in percent form is on the tester. For that, enough funds are needed so that you can avoid the large drawdown and avoid it from the MC.